Approximately 48 inches long and 32 inches tall. Appears that doors are similar to partical board but frame and top are finer wood but of a kind I am not for sure aware of. Has year stamped on back of 1912. Inherited from family friends. Believe they acquired in western Massachusetts in 1990s. Thank you for your request. The apprised object is a hutch or buffet with unknown measurements. 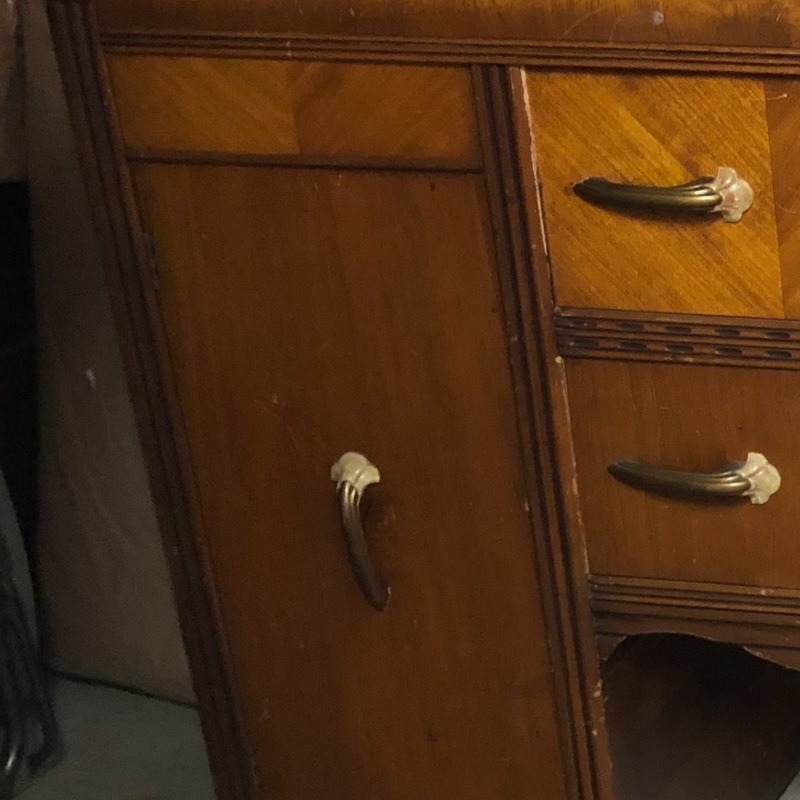 This piece of furniture appears to have a mahogany veneer and two drawers in the front and two shelves. There is no producer mark or stamp visible to identify the maker. This piece was made in the early 20th century probably in the USA. An estimation would be between 300 to 600 USD.